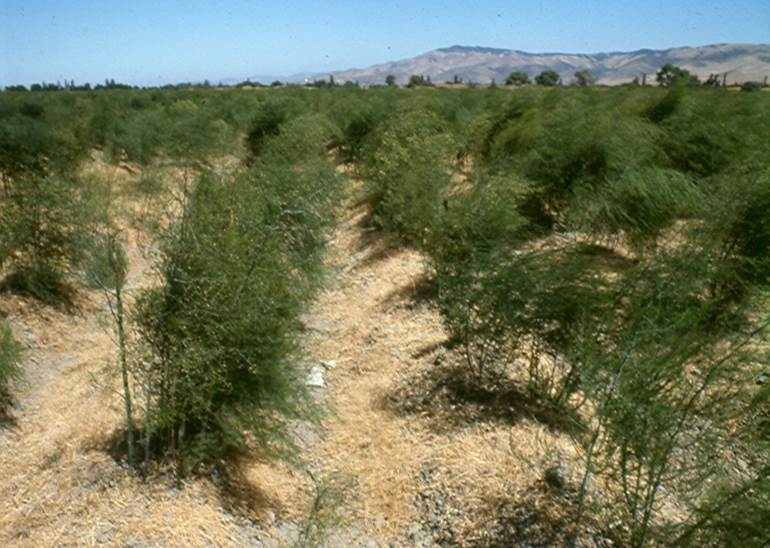 Asparagus is a perennial crop that should have a productive life of 15 or more years. Asparagus spears grow upward through the soil from underground crowns. The spears are cut by hand every 2-5 days. After two to three months, spear harvest ceases and the spears are allowed to grow into ferns with a thick canopy of feathery leaves. During the fern stage, the plant produces and stores energy for the following year’s crop. Purple spot on asparagus was first reported in the U. S. in 1981. The main damage from purple spot is on fern growth. Fungal damage to the ferns results in defoliation of the needles which reduces the flow of carbohydrates to the roots and lowers next years yield. “Purple spot of asparagus is an important fungal disease in many growing regions including Michigan, California, Washington, England, and New Zealand. The fungus overwinters as pseudothecia on the surface of asparagus fern debris and releases ascospores as primary inoculum in the spring. Purplish lesions may subsequently develop on the spears, making them commercially unacceptable, especially for the fresh market… Following infection, tan to brown lesions may develop on the fern and premature defoliation may occur. Premature defoliation of the fern limits its photosynthetic ability, resulting in decreased carbohydrate reserves for the crown that may negatively affect yields in the following years. Authors: Granke, L. L., and M. K. Hausbeck. Title: Influence of Environment on Airborne Spore Concentrations and Severity of Asparagus Purple Spot. Source: Plant Disease. 2010. 94:843-850. The brown rot fungus infects all the acres of cherries, peaches and nectarines in the U. S. Ash-gray masses of millions of spores appear on the fruit and the fruit becomes completely rotten and soft within a few days. 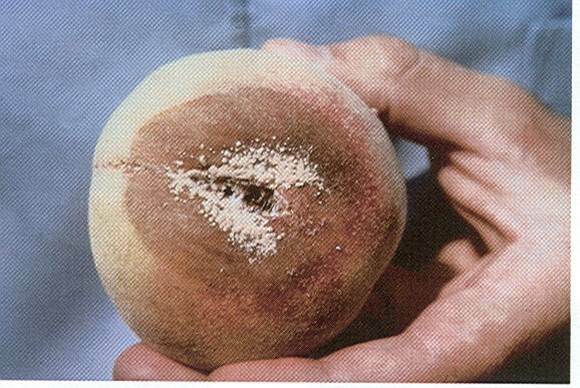 Brown rot caused substantial fruit losses before the development of fungicides. Most peach growers expected to lose 50-75% of their crop. With the development of a finely-powdered sulfur fungicide about 1912, stone fruit growers began widespread spraying to control brown rot. This spraying has continued to this day. “Who does not love the delicious taste of fresh peaches, nectarines, plums, apricots, or cherries? Because of their popularity, stone fruits are grown all over the world, but it is not only consumers who like these tasty fruits. Some fungi have specialized in infecting and colonizing stone fruits wherever they are grown. Authors: Schnabel, G., et al. Title: Sustainable brown rot management of peaches in the southeastern United States. Source: Outlooks on Pest Management. 2010. October. Pgs. 208-211. Potato consumption has increased dramatically in Sub-Saharan Africa in the past ten years as more people have moved to cities and have diversified their diets. Potato production has increased to meet the demand through the planting of more fields with potatoes which are encroaching on forestland. Potato yields remain low in Africa primarily due to damage from the late blight disease. Increasing farmer knowledge about late blight and the importance of fungicide recommendations could dramatically increase potato yields. “Potato cultivars grown in Uganda have low levels of general resistance to late blight. As such, most commercial potato farmers rely on fungicide applications for control of Phytophthora infestans, the causal agent of late blight. Potato has become an important staple and cash crop in the highlands of eastern Africa. These areas experience moderate temperatures (about 15–22°C) and receive relatively high amounts of rainfall (>1200 mm per year) that are favourable for potato production. However, these same conditions favour severe epidemics of late blight, and as such, late blight is a major limitation to potato production in high humid elevations. Authors: Kankwatsa, P., et al. Affiliation: Department of Crop Science, Makerere University, Uganda. Title: Efficacy of different fungicide spray schedules for control of potato late blight in Southwestern Uganda. Source: Crop Protection. 2003. 22:545-552. Four to seven fungicide applications are made per blueberry acre for control of nine diseases of which mummy berry disease is major. The fungus that causes mummy berry overwinters in shriveled mummified blueberry fruit on the ground. 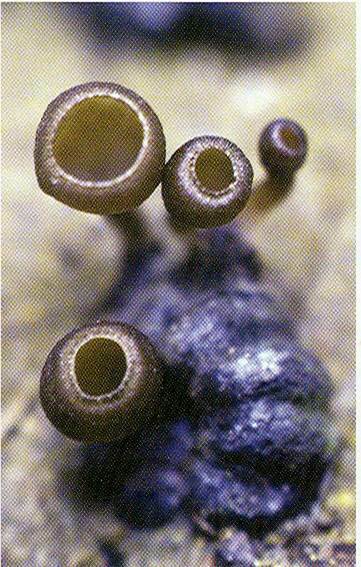 In early spring, cup-shaped structures of the fungus grow on mummified berries. Each cup-shaped structure produces an average of 61,000 spores a day for 9 days. Spores infect young developing twigs and flowers. Fungal tissue colonizes the developing berry. Infected berries turn a cream color and begin to dry (mummify); the mummy retains a shape similar to normal fruit and is composed primarily of fungal tissue. “Mummy berry disease, caused by the fungus Monilinia vaccinii-corymbosi, is a major disease confronting blueberry growers in North America. …Most losses associated with the disease are due to the rejection or downgrading of commercial blueberry shipments that contain mummified fruit. Authors: Tarnowski, T. L., A. T. Savelle and H. Scherm. Title: Activity of fungicides against Monilinia vaccinii-corymbosi in blueberry flowers treated at different phenological stages. Source: Plant Disease. 2008. 92:961-965. 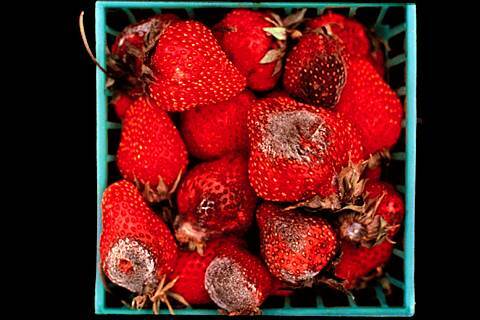 Consumers sometimes buy picture-perfect strawberries only to find them covered in mold after a few days. The cause: the gray mold fungus which infects the berries in the field but which remains symptomless until the fruit ripens. The fungus produces a velvety gray growth on the surface of the berry. Gray mold spreads in shipping containers when the fungus grows from a rotting berry to an adjacent healthy fruit. 100% of US strawberry acres are estimated to be infected with the gray mold fungus. Widespread infections are prevented with fungicide treatments. “Gray mold is one of the most economically important diseases of cultivated strawberry (Fragaria × ananassa), and a significant threat to the United States’ $2.4 billion strawberry crop… Crop losses resulting from gray mold disease are especially severe under moist weather conditions, and occur not only during the crop growing season but also after harvest and during storage and transit. Authors: Grabke, A., et al. Title: Fenhexamid resistance in Botrytis cinerea from strawberry fields in the Carolinas is associated with four target gene mutations. Source: Plant Disease. 2013. 97:271-276. China produces nearly half of the world’s vegetables- five times the U.S. share. China’s increase in vegetable acreage between 2000 and 2004 (5.7 million acres) exceeded the entire vegetable acreage in the United States (3.7 million acres). China’s vegetable production has grown mainly to meet domestic demand from its 1.3 billion citizens. There are over 7.3 million acres of greenhouse crops in China and the growing conditions in the greenhouses are conducive to fungal outbreaks making fungicide use necessary. Authors: Zhang, C. Q., et al. Affiliation: School of Agriculture and Food Science, Zhejiang Forest College, China. Title: Evolution of resistance to different classes of fungicides in Botrytis cinerea from greenhouse vegetables in eastern China. The fungus p. infestans was first found in Europe causing the late blight rot of potatoes in the 1840s. In 1845/1846 the fungus destroyed all the potatoes in Ireland and 1.5 million people died. The fungus spread throughout Europe and caused potato crop failures until the late 1800s when the use of copper was found to be an effective fungicide for protecting potatoes from infection by p. infestans. The use of copper as a fungicide spray on potatoes became widespread throughout Europe in the early 1900s. However, in Germany during World War I, all the copper was requisitioned for making bullets. The German civilian population had become dependent on potatoes due to shortages of other foods. A late blight epidemic destroyed Germany’s potato crop in 1916 due to the lack of protection with a fungicide. Authors: Schumann, G. L., and C. J. D’Arcy. Affiliation: Marquette University, and University of Illinois. Title: Hungry Planet: Stories of Plant Diseases. Source: The American Phytopathological Society. 2012. For 20 years, California walnut growers had to convince the EPA to grant a temporary emergency registration for a fungicide to control annual outbreaks of walnut blight. At the same time, the growers assembled the data necessary to make a full registration possible. After 20 years, the EPA granted the full registration and the walnut growers can rest easy. “Depending on variety, walnut blight can take a heavy toll on walnut production, particularly when inoculum is high and spring weather is warm and wet. 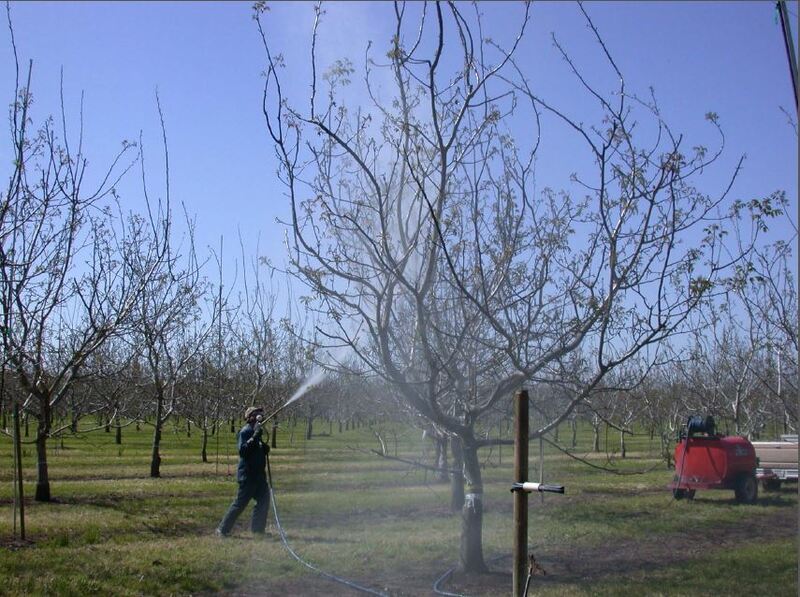 However, with the federal EPA granting Manzate (flowable or dry flowable formulations) a Section 3 registration last year, walnut growers throughout California now have a reliable option for controlling the disease. For the previous two decades, growers in the state could use this and other ethylene bis-dithio-carbamates (EBDCs) products to treat for walnut blight only in selected counties under a Section 18 (emergency exemption) registration. Applying for Section 18 registration required submitting extensive environmental, health and safety data each year. The walnut blight bacterium (Xanthomonas arboricola pv juglandis) over-winters in dormant buds primarily under the outer bud scales or cataphylls. When buds break in the spring, cataphylls open and young shoots extend past them. Rain drops spread the disease by splashing bacteria onto any green tissue, infecting them. The disease appears as black lesions on green tissue. 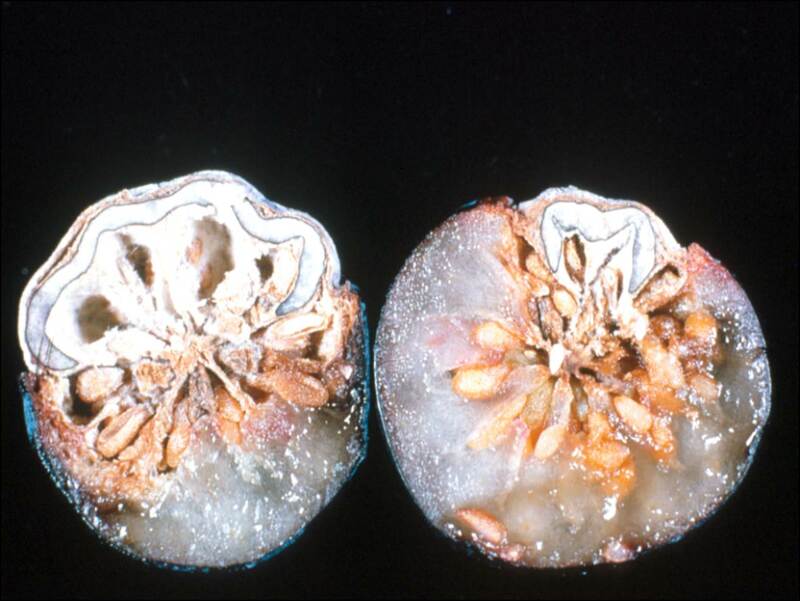 As bacteria spread inside the walnut, they grow toward the center of the nut early in the season, destroying the developing kernel. Title: Tips for better control of walnut blight. American ginseng (Panax quinquefolium) is a perennial herb native to parts of the US and Canada grown primarily for the medicinal properties of its root. Currently, more than 95% of the cultivated commercial ginseng in the United States is grown in Wisconsin. 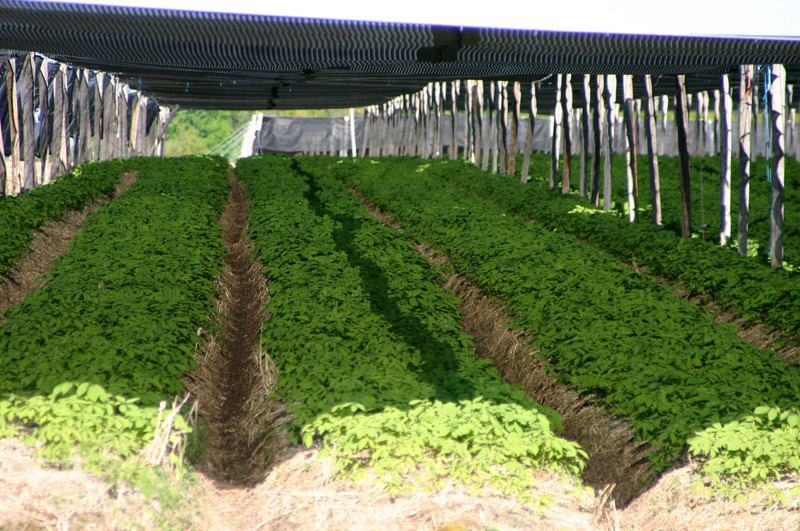 Wisconsin’s 150 growers cultivate 1500 acres of ginseng, producing 500 to 2000 pounds per acre which represents 10% of the world’s supply of ginseng. At an approximate average of $20-30/lb, ginseng is a high value crop for Wisconsin, totaling $50 to $75 million annually. Cultivated ginseng is grown on a raised plant bed under a tree or black woven polypropylene canopy. 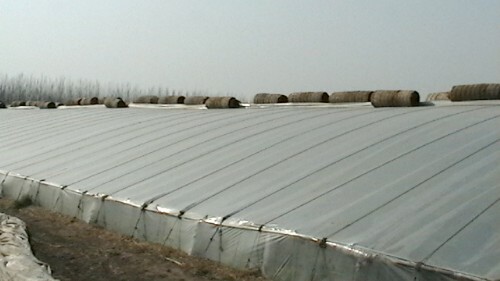 The shade required by the crop and dense plant spacing create a microclimate highly conducive to disease with limited air movement and extended leaf wetness periods. 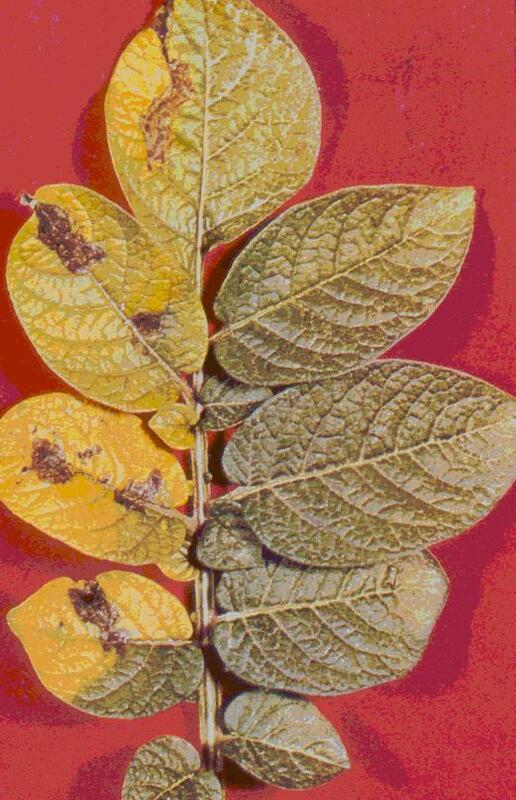 If Alternaria leaf and stem blight is not controlled, it can reach epidemic proportions within a month after the plants have emerged in the spring, destroying all the foliage. The loss in yield reported by Wisconsin growers when the disease is uncontrolled range from 50 to 100%, with the majority of those surveyed reporting losses of 75 to 100%. “Alternaria blight, incited by Alternaria panax Whetzel, is the most common disease of ginseng throughout the world… This disease is a yearly problem for ginseng growers in Wisconsin and can be especially destructive, causing rapid defoliation and plant death. In the absence of effective treatments for Alternaria blight, growers could potentially lose $13,930/ha in root revenue due to repeated crop defoliation. Since A. panax also infects drupes, seed may be threatened. With an average seed yield of 337 kg/ha, growers could lose an additional $18,537/ha (current market value $55/kg) due to Alternaria blight. Cultural strategies to manage Alternaria blight include increasing plant spacing to enhance air circulation, removing infected foliage, and replacing straw mulch in affected areas. Unfortunately, these strategies are not practical and would not preclude the reintroduction of inoculum via air currents. The use of biocontrols as alternatives to traditional fungicides has also been considered for Alternaria blight management. However, the biocontrol agent did not adequately reduce disease under field conditions due to poor survival on leaf surfaces. Authors: Hill, S. N., and M. K. Hausbeck. Title: Factors influencing airborne conidial concentrations of Alternaria panax in cultivated American ginseng gardens. Source: Plant Disease. 2009. 93:1311-1316. Carchi is the most important potato-growing zone in Ecuador. Smallholder households dominate production and they sell the vast majority of output. The biggest biological constraint to potato production in Ecuador is the disease late blight caused by the fungus p. infestans. 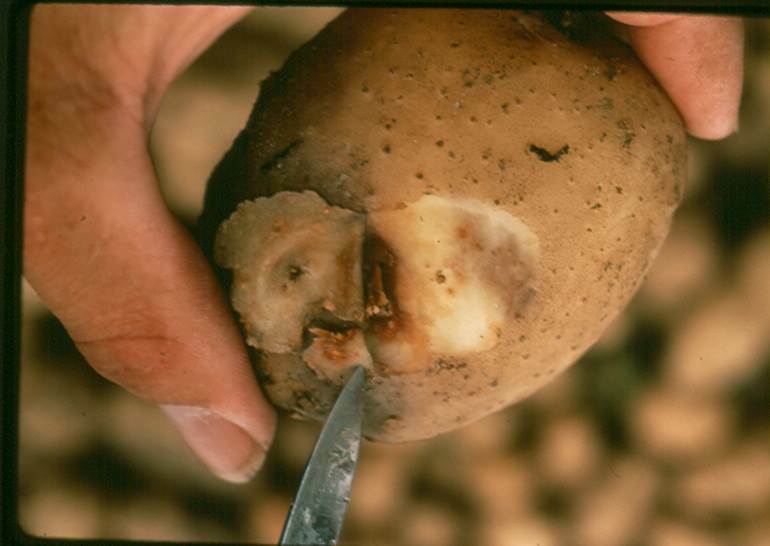 The fungus can infect all the potato plants in a field in three days and losses can be as high as 100%. 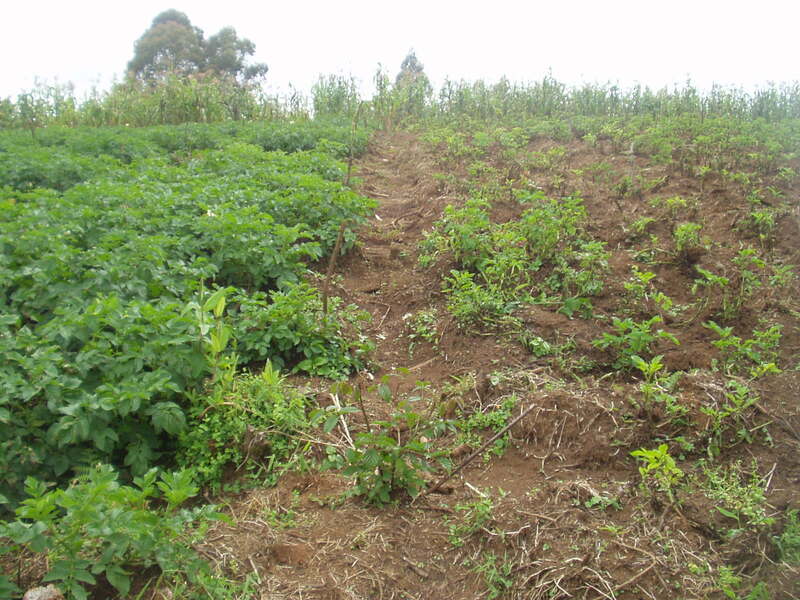 A survey of smallholder potato farmers in Carchi showed how dependent they are on fungicides. Authors: Sherwood, S. G., et al. Title: Reduction of risks associated with fungicides: technically easy, socially complex.